I'm from Upstate NY close to the the Adirondacks and I'd like to see our new pup in some deep snow! Won't happen here in TX though. Have fun!! Oh my...SO much happiness!!! We have 8 inches on the ground since Monday, and he's been insanely happy, running and jumping as if he hasn't seen his long lost friend- SNOW! LOL!!! 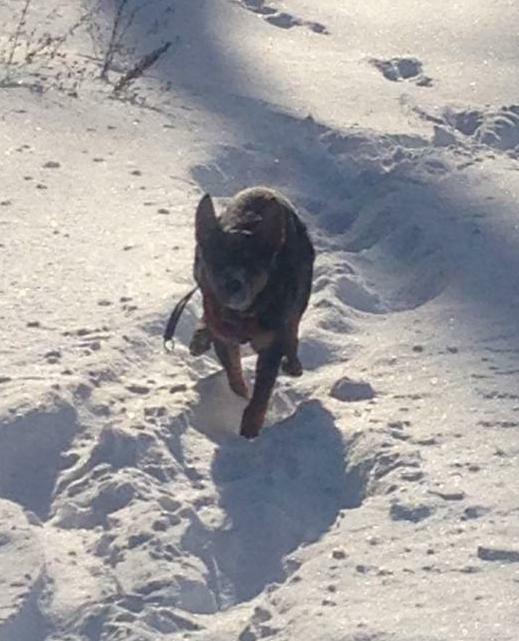 I lived in Lake Placid in the Adirondacks for almost 7 years...and the dog I used to have, a black Lab just LOVED the snow too...didn't jump and run as fast as Wyot, but oh, my!! Enjoy the warmth in Texas...we will be sick of this stuff by the end of Janurary..